Following an expert webinar discussing the highlights from social media coverage of this year’s American Society of Clinical Oncology Annual Meeting (ASCO 2016), Paul Tunnah muses that pharma needs to remedy its approach to digital conference engagement. 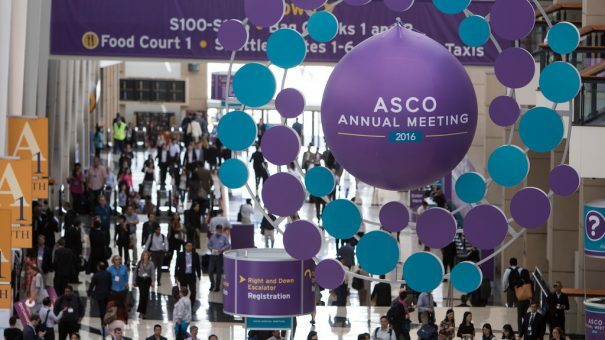 The American Society of Clinical Oncology 2016 annual meeting (ASCO 2016), held at the beginning of June, may seem like a distant memory to some, but it’s still making me think about where medical conferences are heading, and the sometimes testing relationship they hold with the pharmaceutical companies, which are critical financial sponsors. There is no doubt that medical conferences like ASCO 2016 are a core event on the calendar for physicians – an opportunity to digest new clinical data, ruminate with their colleagues and potentially determine new treatment pathways. But digital engagement – in particular social media – has dramatically impacted the way in which information is consumed from these events. Where doctors cannot attend (an increasing problem in today’s busy and ever more regulated world), there is now the opportunity to follow what is coming out of the event virtually, via social media and an array of healthcare-related publications and individual blogs. This has also created broader interest from other parties – most notably the patients themselves – to follow the conferences. For example, looking at this year’s event on Twitter, there were more than 16,000 people Tweeting almost 70,000 Tweets over the five days of the meeting. This has created significant interest from the pharmaceutical industry in tapping into the online narrative around medical conferences and, as they don’t get much bigger than ASCO, it serves as a good example of how the industry is engaging. So this year, pharmaphorum decided to take a closer look at the social media coverage around ASCO and understand what it could tell us about how the industry is engaging – through the eyes of both physicians and patients. Dr Mike Thompson (US haematologist/oncologist and ASCO Featured Voice for the 2016 meeting), who is active on social media and attended this year’s event. Dr Richard Simcock (Consultant Oncologist, Sussex Cancer Centre), who is also active on social media and followed ASCO 2016 virtually. Silja Chouquet (CEO, whydot pharma), who is a social media expert with a focus on deep Twitter analysis in relation to medical conferences. Andrew Schorr (Co-Founder & President, Patient Power LLC), an empowered patient, avid social media user and entrepreneur. And their conclusions? Well, if the webinar was a report card on pharma engagement around medical conferences then I’m afraid the teachers’ commentary might read ‘could do better’. You see, in the rush for share of digital voice at this year’s ASCO 2016, the pharmaceutical industry took over the Twitter conversation to such an extent that it certainly got noticed by the other stakeholders, and not necessarily in the right way. With hefty budgets at their disposal being steered towards promoted Tweets, pharmaceutical companies are running the risk of being seen to simply spam the Twitter feeds – and it’s starting to create more negative feedback than positive. While I’m not saying that a sample of n=4 is necessarily robust in relation to a conference that features circa 30,000 physical attendees, given the gravitas and experience of our panel it would seem foolish to ignore their message that pharma needs to change. If the industry is seen to be spamming digital conference coverage, rather than contributing value, then two things are likely to happen. First, while no-one (including medical associations), strictly speaking, ‘owns’ a hashtag like #ASCO16, they can exert considerable influence to impose penalties on companies seen to abuse the system, including potentially disrupting privileges at the physical event. In addition, online communities are notoriously good at self-moderating and, if the oncologists and epatients turn against pharma, they will find a way to simply block them out. I would venture this would not be good for anyone – industry, medics or patients. While it might seem odd in 2016, some companies are doing exactly this and some oncology-focused pharma companies were still absent from the Twitter stream this year. They may well cite articles like this as their justification for doing so, but can we really blanket dismiss social media in 2016? I don’t think so – it’s not the channel that’s the problem, but how it is being used. It’s analogous to banning all cars because of one dangerous driver. Listen: Social media has developed into an amazing research tool, given the sheer volume of new data being generated every day. This can tell you what people are currently talking about, who is engaging and who is interesting, in addition to being able to see clearly what kind of interaction delivered the best results previously. In the same way that companies spend vast amounts of time and money on product research ahead of launch, the same principle should be applied to digital conference engagement. Start by listening to understand what is going to be interesting and relevant to the audience. Co-create: But listening is not enough. If companies really want to stand out in the right way for their social media conference engagement, the best way is to actively involve the target audience in developing and presenting their media: the power of co-creation. Given that the conversation is above the brand, there should be no conflict of interest – indeed, there should be clear common interest areas at the disease area level. Co-created engagement combines the significant media budgets that pharma companies have with the customers’ knowledge of what issues are relevant. Done right, everyone wins – pharma, doctors and patients. Align: As already mentioned, the audience for medical conferences is increasingly diverse, including not only physicians and researchers but also the media, patient organisations, patients, industry partners, your employees etc. This makes engagement complex, given the diversity of interests and the fact that they are all talking to each other, over which pharma has no control. What pharma can control is ensuring its story is coordinated across all its internal silos, e.g. communications, marketing, patient advocacy etc. The specific nuances and focus may be different in each case, but there should be a coordinated theme coming out of each company, across traditional and digital media, to ensure effective engagement. For me, it’s a pretty simple choice for the industry – collaborating more closely with the medical associations who run these meetings and the healthcare stakeholders who are interested in them to produce a virtual experience that meets everyone’s needs is the only sensible route. The alternative leaves pharma out in the cold, digitally shouting into the ether. It’s certainly an area that pharmaphorum will be covering quite closely in the future and, of course, working with our industry partners to address, so stay tuned and, until next month, stay well. Click here to listen to the full webinar ‘Social medical: The social media buzz around ASCO 2016’ on-demand. Paul Tunnah is CEO & Founder of pharmaphorum media, which drives better communication, connection and collaboration between the pharmaceutical industry and other healthcare stakeholders. Its suite of services, from publishing (www.pharmaphorum.com) to its healthcare engagement agency (www.pharmaphorumconnect.com) are underpinned by the common strengths of extensive global networks, a firm finger on the pulse of changing market dynamics and deep expertise in creating engaging, relevant media. 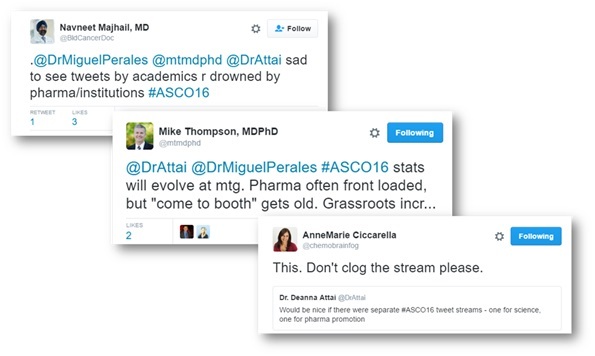 Have your say: How should pharma be Tweeting at medical conferences?